Karena kami senang bertandang. Because we simply love to travel. 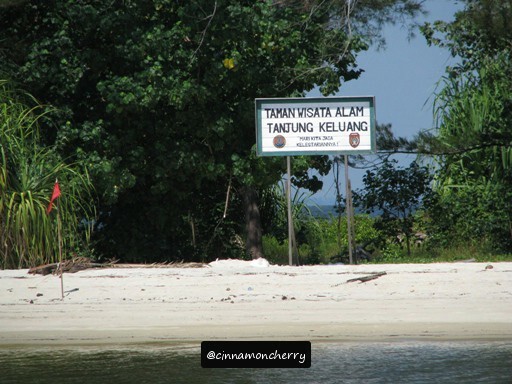 Tanjung Keluang is located in Central Kalimantan, near Pangkalan Bun. 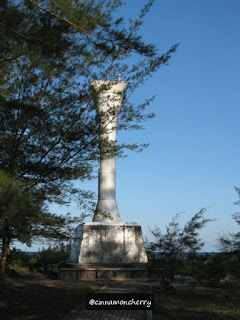 You can visit Kubu Village first by car, then proceed to Tanjung Keluang by kelotok boat. Or you might decide to go to Tanjung Puting first then using the same kelotok boat, go to Tanjung Keluang right away. The white sand, blue sky, verdant trees. The breeze is soothing. Makes you want to curl up somewhere and read a good book while occasionally imbibing the sight of the ocean. I'm guessing that the right pic is actually a lighthouse, even though it's a bit small. And on the left you can see the kids are having fun riding a banana boat. Such an awesome sight, aye? Bottom, you can see some baby sea turtles, ready to be released into the sea. Top, you can see the sea turtles preservation center. It's tucked amidst the green sea pines. What can you do in Tanjung Keluang? Many things! You can admire the scenery. Ride a banana boat. Swim. Camp for the night. Visit the sea turtle conservation center. Learn how to paint T Shirts using nipah sap. Release baby sea turtles.